The SAM Charity Committee is once again holding its Winter Wear Recycling Program at the 2013 Sled Expo. We asks our fellow snowmobilers to check out the great deals at the Expo, but before that, we ask that you look through your closet and donate items that you haven’t worn in years but are still in good shape. The donated items will be cleaned and turned over to the local Big Brother/Big Sister program. Last year we received 31 very nice coats. The majority were teen or adult sizes, which was perfect for Big Brother/Big Sister. There are many programs that help provide winter clothing for children but the teens and older kids are sometimes left out. We are looking for any winter-type clothing such as coats, snow-pants, boots, mittens, gloves, hats, etc. Please check them over carefully to make sure they are in good condition. The kids receiving them are so appreciative for warm clothing when it’s cold and windy outside. Maybe their big brother or sister will be taking them snowmobiling? 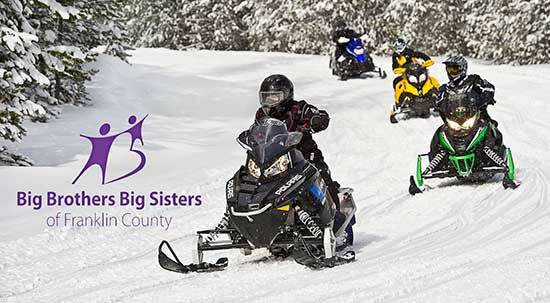 Every time I ask for help in one of our charity programs I am amazed at what wonderful people snowmobilers can be. Thank you for making this program special for those in need.